"What's that burning coolant smell!? WHOAH that's a lot of smoke coming out of the hood..."
...and that’s how errands went the other day. 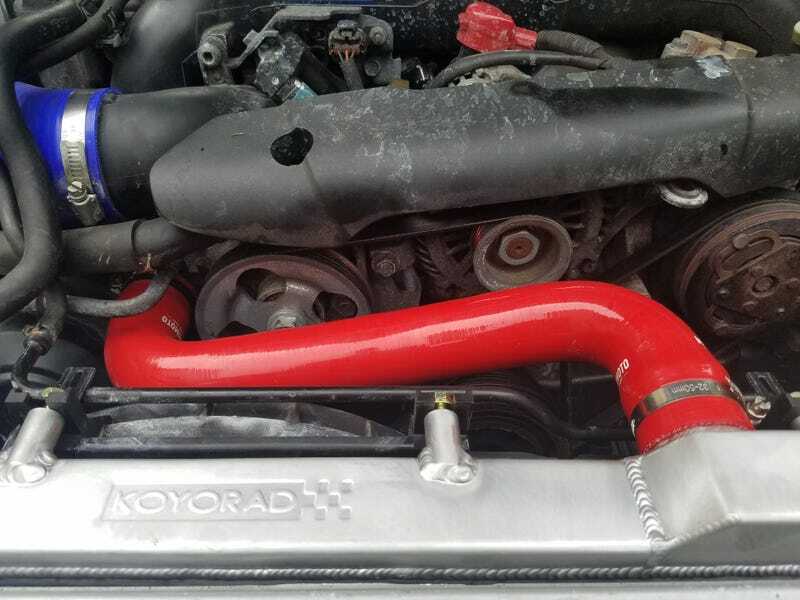 The upper radiator hose connection disintegrated spontaneously (brittle plastic) so it was time for a new aluminum radiator and some fancy red hoses. Installation this afternoon went smoothly, can’t wait to be back on the road. Nothing makes you appreciate driving a car you love every day like catastrophic failure! I really miss boooooost, steering feel, and big brakes. Skip to 4:48 for Oppositelock in vehicle form.